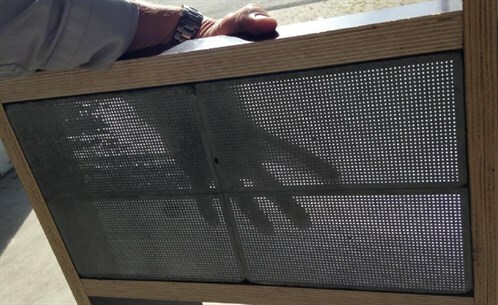 In the DIGISTONE project a new outdoor digital concrete screen has been developed. The development towards a final prototype of the screen involved state-of-the-art LED-technology, optic fiber technology, and concrete technology. In order to fabricate the first functional prototype of DIGISTONE, a completely new fabrication method had to be developed. Regarding the concrete and light guide technologies an efficient method to place and fix the light guides in the required positions was developed. Hereafter a complicated formfilling with a special designed concrete mix was conducted in order to create the transparent concrete blocks for the prototype. 4 transparent concrete blocks was arranged in a frame in order to make the final screen facade of the prototype. 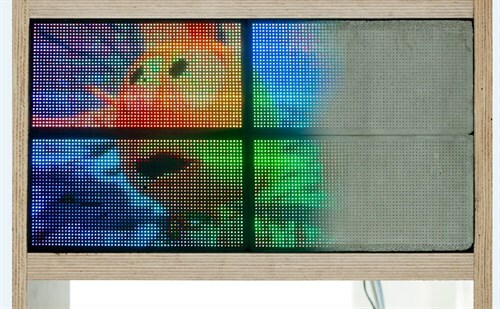 In order to enable live images on the concrete screen the electronic system was developed. This involved latest LED technology as well as special designed hardware and software meeting the requirements in the project. 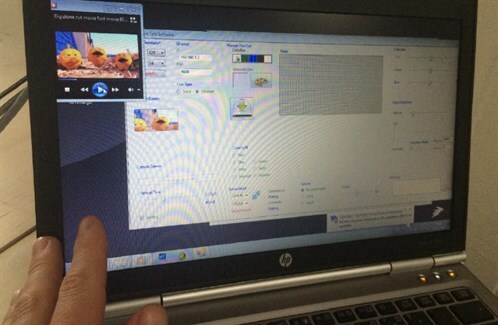 With the special designed software live images and remote conctrol was enabled. The final digital concrete screen prototype was then finally assembled into the frame ready to show live images.